WASHINGTON - The State Department has made a determination approving a possible Foreign Military Sale to the Government of Australia for Anti-Radiation Missiles. The estimated cost is $137.6 million. The Defense Security Cooperation Agency delivered the required certification notifying Congress of this possible sale on April 27, 2017. 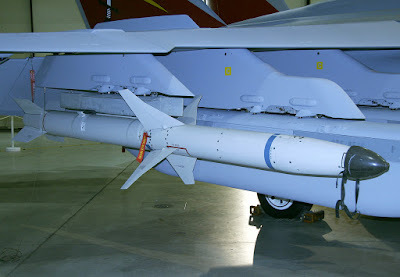 Australia has requested a possible sale of up to seventy (70) AGM-88B High Speed Anti-Radiation Missiles (HARM) Tactical Missiles; up to forty (40) AGM-88E Advanced Anti-Radiation Guided Missiles (AARGM) Tactical Missiles; up to sixteen (16) CATM-88B HARM Captive Air Training Missiles (CATM); up to sixteen (16) CATM-88E AARGM CATM; up to twenty-five (25) AGM-88B Control Sections; up to twenty-five (25) AGM-88B Guidance Sections; up to twenty (20) AGM-88E Control Sections; up to twenty (20) AGM-88E Guidance Sections; up to forty eight (48) Telemetry/Flight Termination Systems; U.S. Government and contractor engineering, technical and logistics support services; and other associated support equipment and services. The total estimated cost is $137.6 million. This sale will contribute to the foreign policy and national security of the United States by helping to improve the security of a major contributor to political stability, security, and economic development in the Western Pacific. 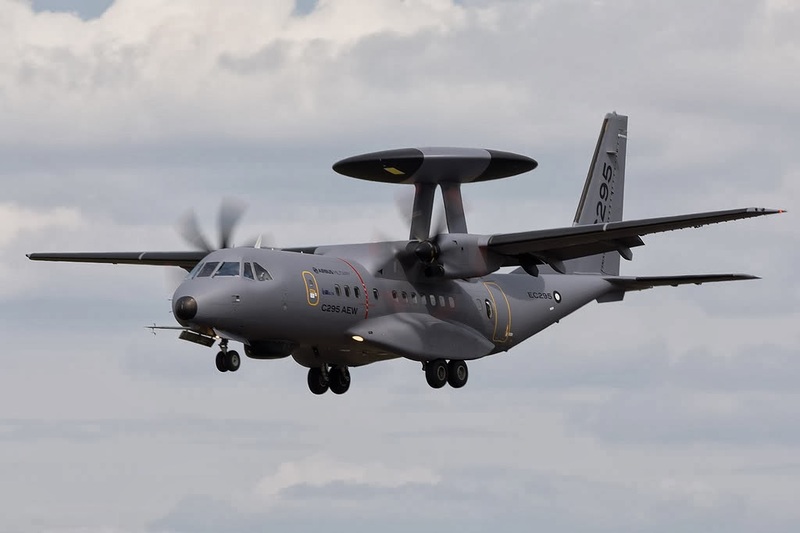 Australia is an important Major non-NATO Ally and partner that contributes significantly to peacekeeping and humanitarian operations around the world. It is vital to the U.S. national interest to assist our ally in developing and maintaining a strong and ready self-defense capability. Australia is requesting these missiles for its Electronic Attack EA-18G Growler aircraft. The proposed sale will improve Australia’s capability in current and future coalition efforts. 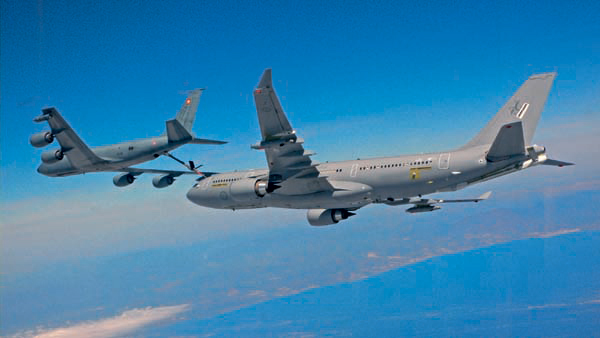 Australia will use this capability as a deterrent to regional threats and to strengthen its homeland defense. 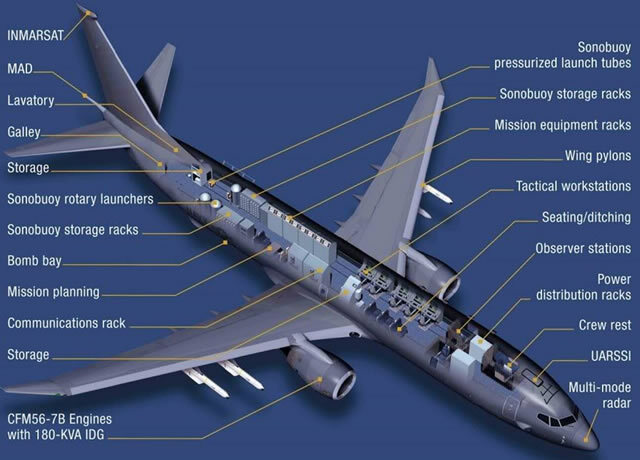 Australia will have no difficultly absorbing these additional missiles into its armed forces. The proposed sale of this equipment and support does not alter the basic military balance in the region. The prime contractors will be Orbital ATK (OA), Ridgecrest, CA, and Raytheon Missile Systems Company, Tucson, AZ. There are no known offset agreements proposed in connection with this potential sale. 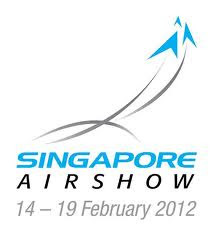 Implementation of this proposed sale will not require the assignment of additional U.S. Government or contractor representatives to travel to Australia. 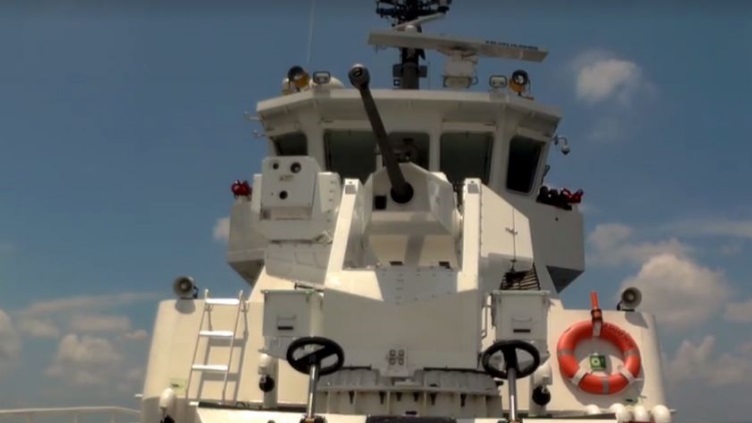 The Malaysian Coast Guard has conducted the first test firings of a newly installed SMASH 30 mm remote controlled stabilised naval gun system from its first-of-class New Generation Patrol Craft (NGPC), KM Bagan Datuk (4541). 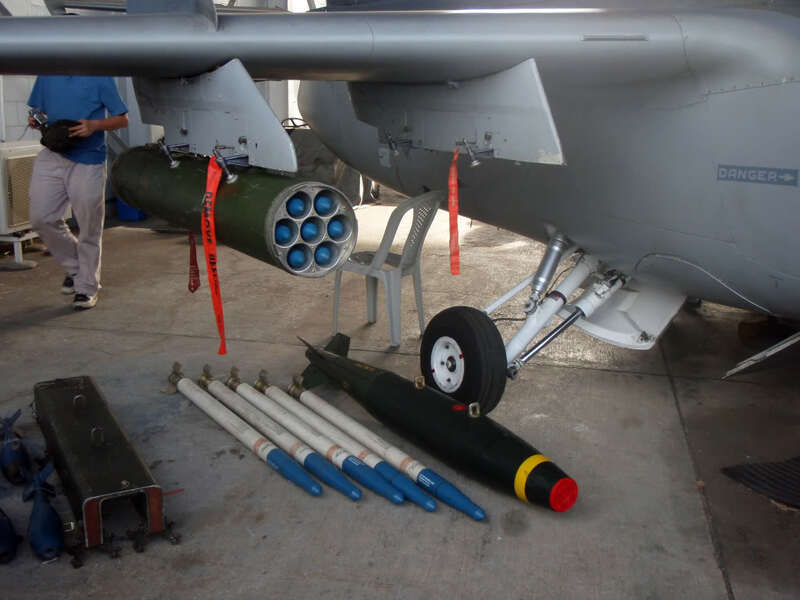 The tests, which were conducted about 15 n miles west of Pulau Mentagor, off the coast of Perak, were conducted to validate the weapon's successful integration with systems on board the vessel. These involved a single seaborne target that was set adrift from and subsequently fired upon by Bagan Datuk in single and burst modes of three rounds each. Present during the tests were engineers from Turkish defence company Aselsan, which is supplying the naval gun system to the coastguard. According to specifications provided by the company, the SMASH system is fitted with a 30 mm Mk 44 Bushmaster-II cannon that fires 200 rds/min. Bagan Datuk is the first of six 44 m coastal patrol vessels ordered from Malaysian shipbuilder Destini Shipbuilding & Engineering under a MYR380 million (USD87 million) signed in 2015. 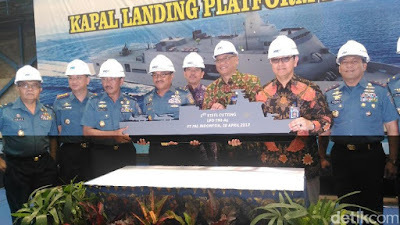 The platform is derived from a design by Germany-based Fassmer Shipbuilding Company and will be the first vessels operated by the Malaysian Coast Guard to feature an organic unmanned aerial vehicle (UAV) capability. The 297-tonne platform features an overall length of 44.25 m, an overall beam of 7.7 m, and a design draught of 1.95 m. The vessel is powered by two 1,920 kW MTU engines, and has a top speed of 24 kt, and a standard range of 2,000 n miles at 12 kt. Each NGPC can deploy the Thales Fulmar unmanned aerial vehicle (UAV) from a catapult-based launcher situated just behind the position of its primary weapon. 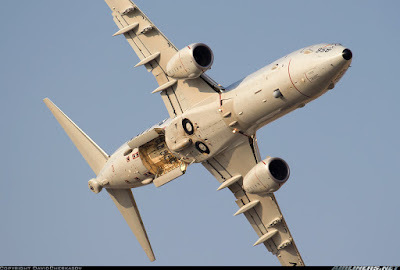 WASHINGTON - The State Department has made a determination approving a possible Foreign Military Sale to New Zealand for P-8A aircraft and associated support. The estimated cost is $1.46 billion. The Defense Security Cooperation Agency delivered the required certification notifying Congress of this possible sale on April 27, 2017. 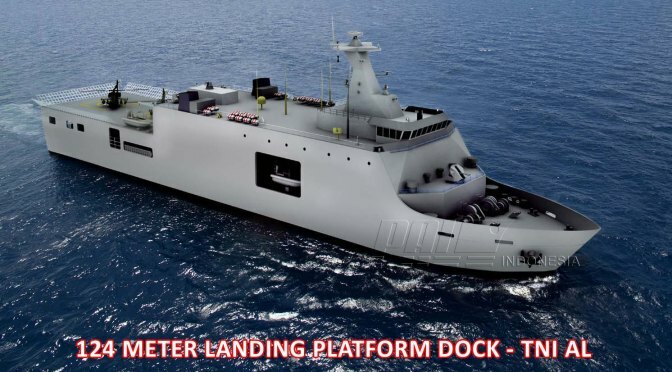 KOTA KINABALU – Pelancaran Penubuhan Markas Peme­rintahan Armada Timur dan Armada Barat, Tentera Laut Diraja Malaysia (TLDM) dilihat sebagai satu keperluan penting dan kritikal bagi memastikan kedaulatan di kawasan perairan negara sentiasa terpelihara. Menteri Pertahanan, Datuk Seri Hishammuddin Tun Hussein berkata, penubuhan itu juga sejajar dengan pelaksanaan teras hala tuju kementeriannya yang menekankan aspek kesiapsiagaan serta keselamatan negara berada pada tahap tertinggi. “Sebelum ini, penugasan operasi di kawasan perairan Semenanjung, Sabah dan Sarawak hanya dilaksanakan serta dipantau di Markas Pemerintahan Armada yang berpangkalan di TLDM Lumut, Perak (sekarang Markas Pemerintahan Armada Barat). "Melalui pelaksanaan sistem pemerintahan dua wilayah ini, penugasan operasi di perairan Sabah dan Sarawak akan dilaksanakan di Mar­kas Pemerintahan Armada Timur yang berpangkalan di TLDM Teluk Sepanggar di sini manakala operasi di kawasan perairan Semenanjung kekal di Pangkalan TLDM Lumut,” katanya kepada pemberita selepas Majlis Pelancaran Markas Pemerintahan Armada Timur dan Barat serta Sambutan Hari Ulang Tahun TLDM ke-83 di Pangkalan TLDM Kota Kinabalu, Sepanggar, di sini hari ini. Hishammuddin yang juga Menteri Dengan Tugas-Tugas Khas berkata, penubuhan Markas Pemerintahan Armada Timur dan Armada Barat itu turut sejajar dengan Pelan Transformasi 15 kelima yang dilaksanakan TLDM ketika ini. Ini katanya kera­na, selain mengurangkan bilangan pengkelasan kapal daripada 15 kepada lima, TLDM turut merancang penyusunan semula pengurusan organisasi serta aset dari semasa ke semasa bagi meningkatkan tahap kesiapsiagaan dan keberkesanan entiti tersebut. “Penubuhan markas pemerintahaan ini turut seiring dengan penubuhan Markas Pemerintahan Medan Barat di Sungai Besi, Kuala Lumpur dan Markas Pemerintahan Medan Timur di Kuching, Sarawak oleh Tentera Darat serta penubuhan Markas Wilayah Udara 1 di Sungai Besi, Kuala Lumpur dan Markas Wilayah Udara 2 di Labuan oleh Tentera Udara Diraja Malaysia (TUDM),” katanya. On the morning of April 27, at the 189-member limited liability company (General Department of Defense Industry), the Examination Council of the PK-KQ Technical Institute was organized by the Colonel, Dr. Nguyen Huu Doan, the President of the Institute. Accepted some items under the project "Investment in the construction of 03 RV-02 radar equipment for the Air Force's radar stations." Attending the pre-acceptance meeting were Major Nguyen Lac Hong - Deputy Director of Military Academy of Technology and representative of MTV One Member Limited Company 189 (contractor). At the acceptance test, the Council has checked and commissioned the installation and testing of items under the project of manufacturing 3 sets of RV-02 radar, including: Hydraulic transmission system; Frame system, platform, antenna post; Antenna array (made by MTV One Member Limited Company); Rotary actuator (made by Military Academy of Engineering). After directly monitoring the operation, testing, product inspection and hearing representatives representatives report the manufacturing process, the production as well as the results of the implementation of the project items, the city Council members discussed and clarified some content related to products. Colonel Dr. Nguyen Huu Doan highly appreciated the efforts of the contractor to finish the products in accordance with the schedule, quantity and quality as required. Of the contract, meeting the requirements of the proposed project specifications. The products are 100% new, the right type, full CO (Certificate of Origin), CQ (Certificate of goods quality) supplies, imported equipment ... 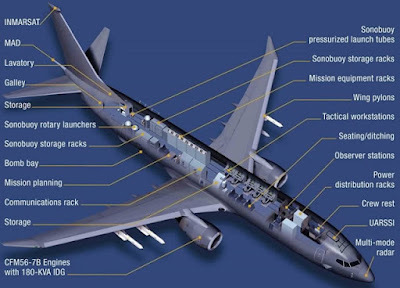 However, to complete To improve and improve the quality of products, especially the preparation for the Council of Acceptance Test of the Ministry of Defense and the Council of Pre-acceptance Test of Ministry of Defense to undertake acceptance in the coming time; The acceptance council of the PK-KQ Engineering Institute requested the contractors to continue to supplement and complete some of the contents indicated by the members, especially the completion of the documents and documents related to the products. Products. VOLGOGRAD - RIA Novosti. The Russian Defense Ministry plans to purchase a batch of new BT-3F armored personnel carriers for trial operation, Deputy Defense Minister Yury Borisov said today as part of a working visit to defense enterprises of Volgograd. "The practice of initiative works is welcomed by the Ministry of Defense, but there is a rule: any technique, made in an initiative manner, must meet our requirements. "We are not present in the process of creating initiative technology, but only at the stage of its trial operation. Therefore, by agreement, we will purchase a batch, and the results will draw conclusions. We have a specialized research institute, it conducts tests," Borisov said. Now the armament of the Russian army consists of MT-LB armored vehicles, which were manufactured in Ukraine. 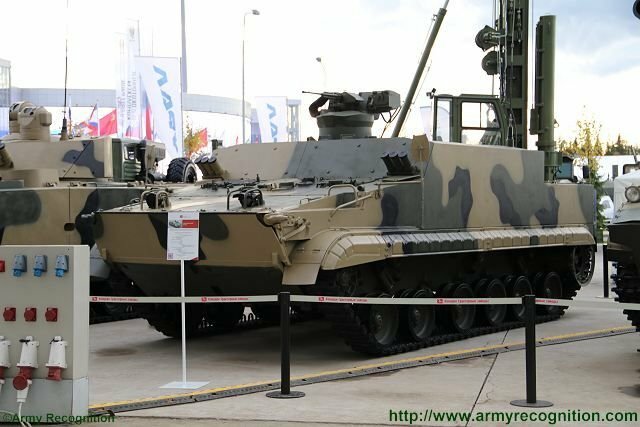 The BT-3F armored personnel carrier was designed to replace Ukrainian armored cars. 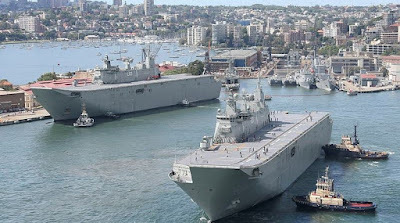 The Navy’s two amphibious assault ships HMAS Canberra and HMAS Adelaide remain tied alongside at Fleet Base East, Sydney while Defence investigates issues with the LHDs’ ‘azipod’ azimuth propulsion systems. The issue first came to public attention almost a month ago on March 29 when ABC defence reporter Andrew Green reported that both vessels were out of service after propulsion issues were discovered with HMAS Canberra while it was undertaking first of class flight trials with Army and Navy helicopters off the coast of Queensland in March. “During these activities, a propulsion issue was identified aboard HMAS Canberra and she is currently alongside in Sydney being inspected,” Chief of Navy Vice Admiral Tim Barrett wrote on the Defence website on March 28. “As a prudent measure, the same inspections were conducted on HMAS Adelaide and identified emergent issues. However, the issues with the azipod systems remain unresolved, with an April 25 news story in the Daily Telegraph by Matthew Benns reporting that “an investigation found maintenance and oil changes were not being done properly”. This assertion was disputed by Deputy Chief of Navy Rear Admiral Michael Noonan, who wrote a clarifying “On the Record” statement subsequently posted on the Navy Daily website. “Defence has maintained and operated HMA Ships Canberra and Adelaide in accordance with the builder’s specifications, including the oils and lubricants used in their operation,” RADM Noonan, who is Acting Chief of Navy, wrote. HMAS Canberra was commissioned in November 2014 with HMAS Adelaide following in December 2015, but both ships are yet to be declared full operational. “Defence has taken prudent measures to ensure the operational test and evaluation period of the vessels is sufficiently thorough to ensure they will serve the nation for decades to come,” wrote RADM Noonan. The 27,500 tonnes displacement LHDs are powered by two 11-megawatt Siemens azipod thrusters with dual propellers mounted on 360-degree steerable pods driven by onboard electric motors – electricity for which is generated by the ships’ combined diesel and gas powerplant system. The LHDs’ azipods and plus their twin bow thrusters – similar configurations are fitted to large cruise ships – greatly improve ship manoeuvrability compared to conventional fixed-screw arrangements. MANILA --- The Department of National of National (DND) will be acquiring a "Pohang" Flight III anti-submarine corvette from South Korea for just USD100. This is possible as South Korea is now in the process of retiring the above-mentioned ship from its inventory. "We have sent a letter to the Government of South Korea expressing our intent to acquire one Pohang class corvette. We are hoping to receive the vessel within the year (no specific date yet)," DND public affairs chief Arsenio Andolong said in a message to the Philippine News Agency Thursday. "The transfer will be in the form of a donation, however, we will pay a token fee of USD100. The corvette will still undergo refurbishment, the cost of which we will shoulder," he added. 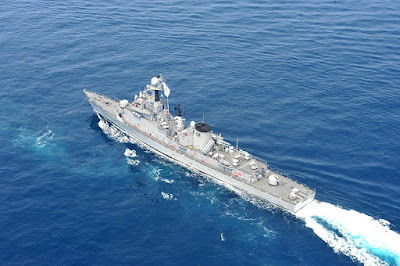 However, Andolong has no information on whether the transfer will include the ship's weapon and sensor suites and exact cost of the refurbishment. But he added that the ship will definitely boost the Philippine Navy's capability to patrol the country's territorial waters aside from helping in the fight against piracy and terrorism. "Pohang" are class of general purpose corvettes operated by the South Korean Navy. 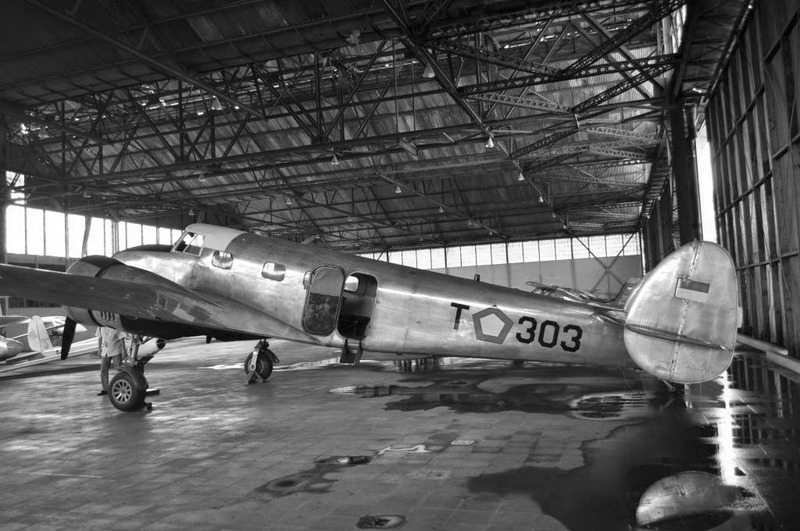 Around 24 were built during the late Cold War and post-Cold War period. Out of this number, 18 are still in commissioned as of this posting. These ships are armed with a variety of anti-sub, anti-ship, and anti-air weapons with their accompanying sensor gear and are capable of running to speeds up to 32 knots. 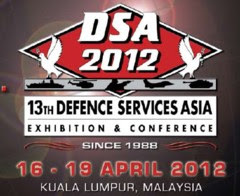 “Dilandasi Jiwa Ksatria, Militan, Loyal dan Professional, TNI Angkatan Udara Bersama Rakyat Siap Menjaga Kedaulatan dan Keutuhan Negara Kesatuan Republik Indonesia, tegasnya. Kasau juga menambahkan bahwa saat ini, wilayah udara bukan lagi lahan kosong yang tidak bermakna, melainkan menjadi bagian wilayah yang sangat menentukan bagi kedaulatan suatu negara, kepentingan nasional dan kelangsungan hidup suatu bangsa. Pada pembangunan Renstra Tahun 2015-2019 akan ada penambahan beberapa alutsista diantaranya 8 Pesawat Pengganti F5, 4 Pesawat Angkut Berat, 4 Pesawat Multi Purpose, 2 Pesawat Jet Multirole, 2 Pesawat AEW&C serta penambahan beberapa radar. 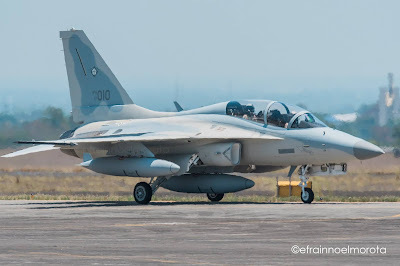 MANILA -- The Philippine Air Force (PAF)'s fleet of FA-50PH "Fighting Eagle" jet fighters has climbed to 10 with the arrival of two more aircaft at Clark Air Base, Angeles City, Pampanga Wednesday morning. Indonesia pernah menjadi kekuatan udara yang disegani di kawasan Asia. 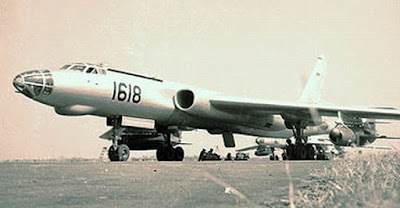 Masa keemasan TNI AU adalah pada tahun 1965 dimana saat itu TNI AU (waktu itu namanya AURI = Angkatan Udara Republik Indonesia) mempunyai 17 Skuadron Udara (dalam istilah TNI AU disebut "Skadron"). Banyak data dalam tulisan ini yang diambil dari SIPRI dan Scramble untuk menggambarkan kekuatan udara pada masa tersebut..
Untuk keperluan Operasi Trikora, dalam waktu yang singkat Indonesia dapat mengakuisisi pesawat tempur buatan Uni Sovyet. Pesawat yang diakuisisi terdiri dari MiG-15UTI (versi jalur produksi Cekoslawakia yang dinamakan CS-102) sebanyak 30 unit pada tahun 1958. Pada tahun 1959 dilakukan pembelian lagi MiG-17 serie F dan PF sebanyak 49 unit terdiri dari jalur produksi Polandia (LIM-5) sebanyak 30 unit dan 7 unit LIM-5P (MiG-17PF), menyusul kemudian dari jalur produksi China sebanyak 12 unit MiG-17F (dikenal dengan nama Type 56/ Shenyang J-5). 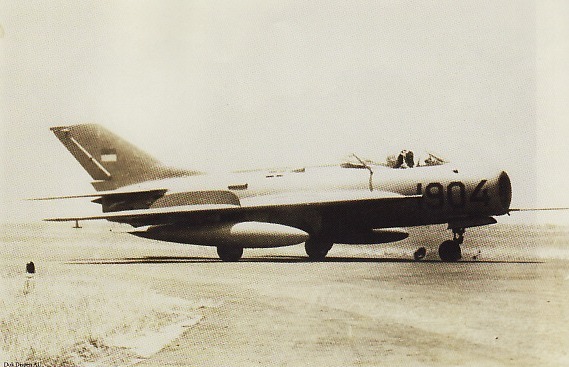 Pada tahun 1961 pembelian dilakukan lagi, kali ini langsung melalui jalur produksi Uni Sovyet dan Indonesia mendapatkan pesawat tempur MiG-19S sebanyak 20 unit dan MiG-21F-13 sebanyak 30 unit. Skuadron 11 yang bertempat di pangkalan udara Abdulrachman Saleh Malang mengoperasikan pesawat yang menggunakan jalur produksi non Uni Sovyet yaitu CS-102, MiG-17F, LIM-5, dan LIM-5P. 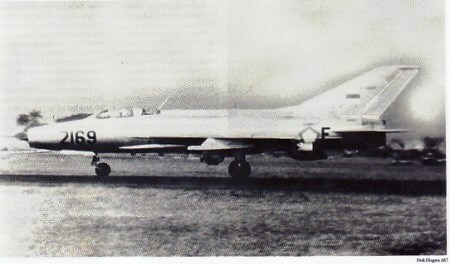 Skadron 12 yang bertempat di pangkalan udara Kemayoran Jakarta mengoperasikan pesawat tempur yang dibuat melalui jalur produksi Uni Sovyet yaitu MiG-19S, dan MiG-21F13. 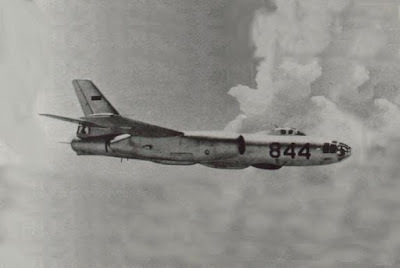 Skadron 14 yang bertempat di pangkalan udara Iswahjudi Jakarta mengoperasikan satu jenis saja pesawat tempur yaitu tipe MiG-21F13. 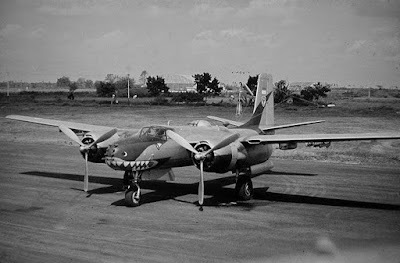 Kekuatan pesawat pembom Indonesia waktu itu mencapai 4 skuadron dan berisi 4 jenis pesawat masing-masing B-25 Mitchell, B-26 Invader, Il-28 Beagle dan Tu-16 Badger. 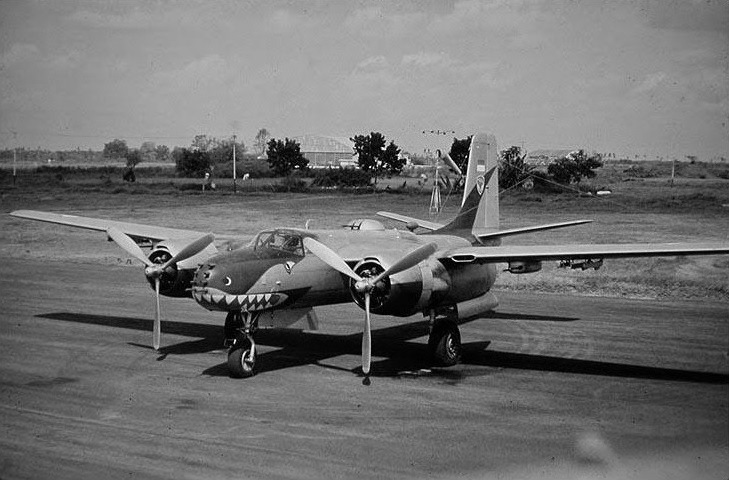 Indonesia menerima 42 pesawat B-25 dari Belanda dan 6 B-26 dari Amerika keduanya pada tahun 1960. 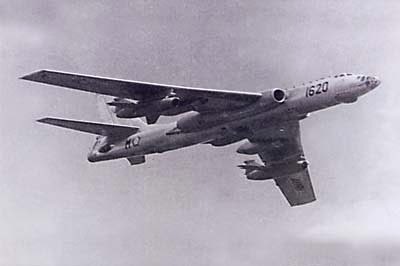 Selanjutnya sebanyak 32 pesawat Il-28 didatangkan dari Cekoslowakia pada tahun 1959 dan 26 pembom jarak jauh Tu-16 dibeli dari Uni Sovyet pada tahun 1961. Skuadron 1 yang bertempat di pangkalan udara Abdulrachman Saleh Malang mengoperasikan dua tipe pesawat pembom buatan Amerika yaitu B-25C/D/J, dan B-26B. 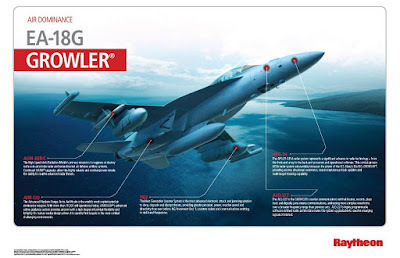 Pesawat ini masuk dalam kategori medium bomber. Skuadron 21 yang bertempat di pangkalan Abdulrachman Saleh Malang, mengoperaikan satu jenis saja pesawat Ilyushin buatan Uni Sovyet yaitu IL-28, IL-28R, IL-28U yang tergolong sebagai pesawat medium bomber. Skuadron 41 yang bertempat di pangkalan Iswahjudi Madiun merupakan skuadron pembom strategis, pesawat yang dioperasikan adalah Tu-16 (Badger A) versi bomber sebanyak 12 unit. 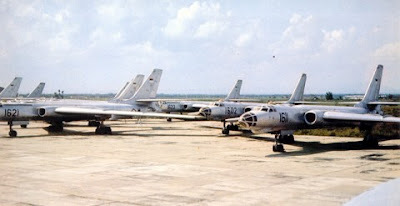 Skuadron 41 yang bertempat di pangkalan Iswahjudi Madiun mengoperaikan pesawat Tu-16KS-1 (Badger B) sebanyak 12 unit, berbeda dengan Badger A, tipe ini mampu membawa sepasang rudal anti kapal permukaan KS-1 (AS-1 Kennel). Dalam catatan SIPRI order pengadaan helikopter Indonesia dari Uni Sovyet tercatat dilakukan pada beberapa gelombang. Pada 1959 dilakukan pesanan helikopter ringan jenis Mi-1 Hare sebanyak 8 unit dan Mi-4A/Hound A sebanyak 4 unit. 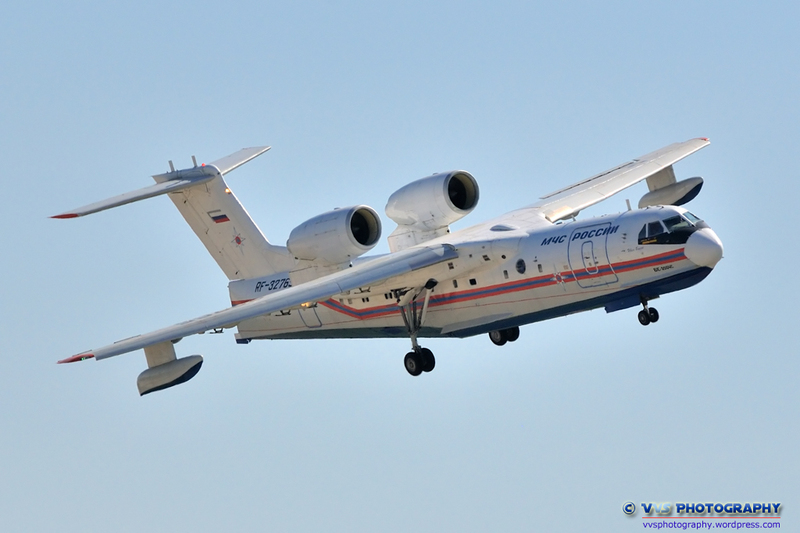 Mi-1 Hare yang dikirim merupakan jalur produksi Polandia yang dinamakan SM-1. 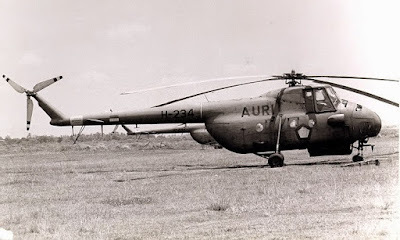 Pada tahun 1962 dilakukan pesanan lagi helikopter Mi-4A/Hound A sebanyak 22 unit (termasuk 1 unit versi VIP) dan 9 unit heli Mi-4M/Hound B versi ASW (versi AKS = Anti Kapal Selam). Dengan demikian jumlah helikopter Mi-4 menjadi 35 unit. Penggunaan heli ini akhirnya dipecah 3 untuk Angkatan Udara, Angkatan Laut dan Angkatan Darat. 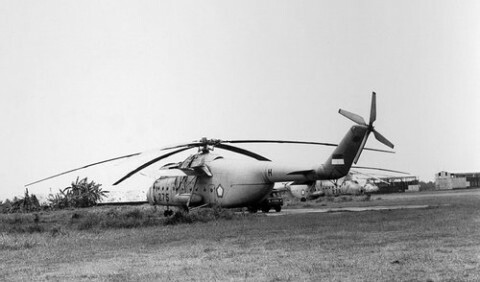 Pada tahun 1964 dilakukan pesanan helikopter angkut berat Mi-6T Hook A sebanyak 8 unit, keseluruhan pesanan ini sudah terkirim semua. Dari Amerika tercatat pengadaan helikopter latih jenis Bell 47/OH-13 seri Bell 47J2 sebanyak 4 unit pada tahun 1960. 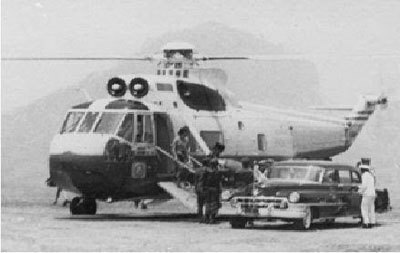 Disusul kemudian helikopter Bell 204/UH-1B sebanyak 2 unit pada tahun 1963, dan tidak ketinggalan pada 1964 dilakukan pengadaan heli kepresidenan jenis S-61/HH-3A satu unit. Skuadron 6 yang bertempat di pangkalan udara Husein Sastranegara Bandung hanya mengoperasikan satu jenis helikopter sedang jenis Mil Mi-4. Heli ini digunakan untuk angkut militer dan SAR tempur. 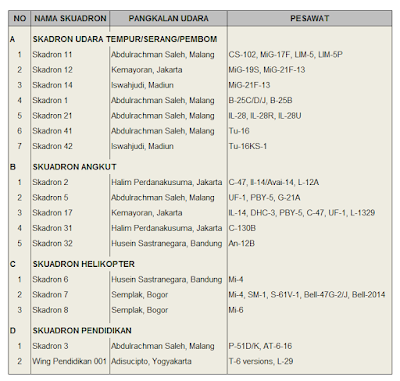 Skuadron 7 yang bertempat di pangkalan udara Semplak Bogor mengoperasikan lima jenis helikopter yaitu helikopter latih Bell-47G-2/J, helikopter ringan SM-1 (Mi-1 versi Polandia) dan helikopter sedang tipe Mi-4 dan Bell-204, tidak ketinggalan helikopter VVIP jenis S-61V-1 turut dioperasikan oleh skuadron udara ini. 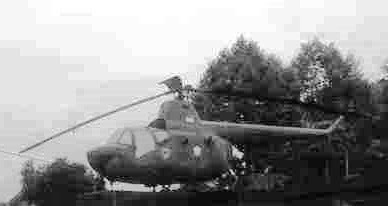 Skuadron 8 yang bertempat di pangkalan udara Semplak Bogor hanya mengoperasikan satu jenis helikopter angkut berat jenis Mil Mi-6T Hook A.
Dimulai dari akhir tahun 1949 hingga awal tahun 1950 Indonesia menerima 253 pesawat Militaire Luchtvaart dan Marine-Luchtvaartdienst eks Koninklijk Nederlands-Indisch Leger (ML dan MD KNIL) berupa pesawat berbagai tipe. 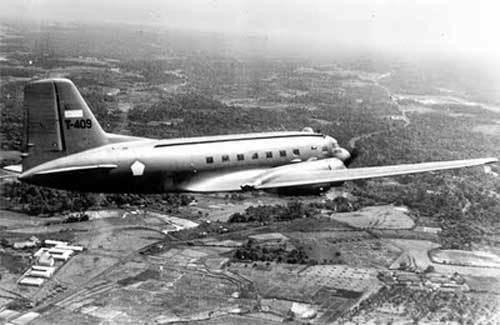 Diantara pesawat tersebut adalah pesawat angkut DC-3/C-47 sebanyak 34 unit, PBY-5 sebanyak 8 unit, dan L-12A/C-40 Electra Junior sebanyak 4 unit. Pada tahun 1958 bersamaan dengan kebutuhan operasi pembebasan Irian Barat, Indonesia, mengakuisisi pesawat angkut buatan Uni Sovyet. 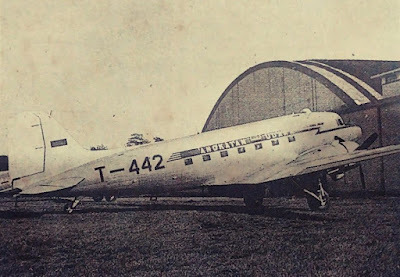 Pesanan ini dipenuhi dari jalur produksi Cekoslowakia berupa pesawat Il-14/Avia-14 Crate sebanyak 28 unit. 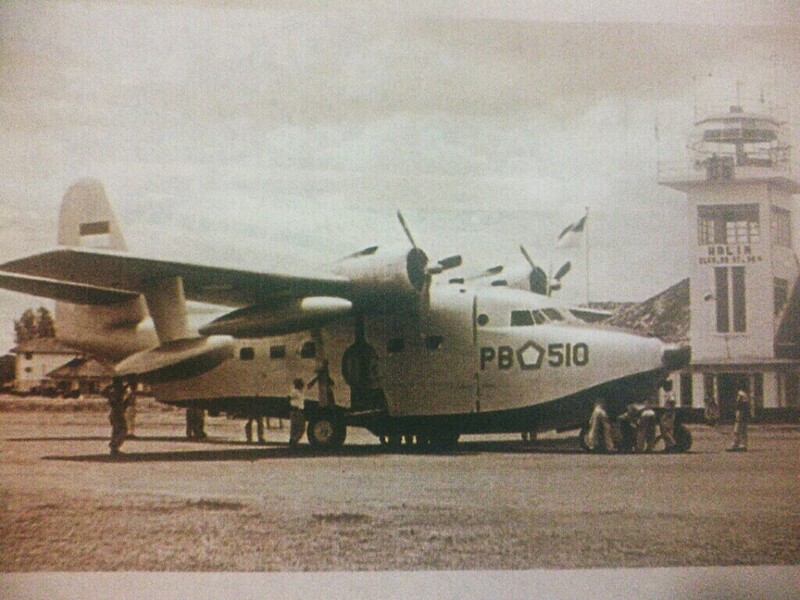 Pada tahun 1956-1959 Indonesia membeli pesawat DHC-3 dari Kanada sebanyak 7 unit, beberapa diantaranya merupakan pesawat second-hand. Kurun waktu 1957-1960 Indonesia menerima 12 unit pesawat dari Amerika sebagai Military Aid Program (MAP) berupa pesawat patroli maritim HU-16B/UF-1/UF-2 Albatross/Goose. Ke-12 pesawat ini dibagi untuk AU dan AL. 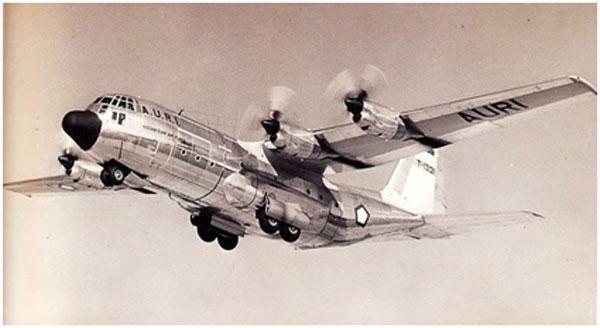 Pada tahun 1960 Indonesia menerima 10 unit pesawat C-130B Hercules dari Amerika. 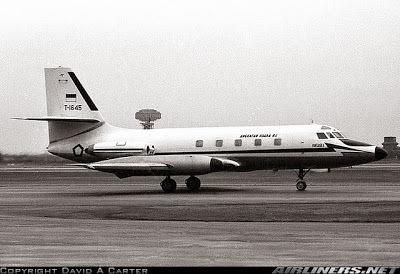 Pesawat jet kepresidenan berupa L-1329/C-140 Jetstar sebanyak 3 unit juga diperoleh dari Amerika pada tahun 1961. 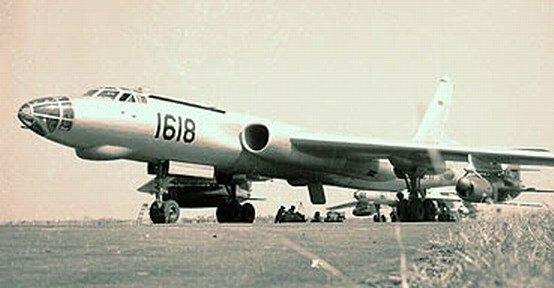 Indonesia juga mengakuisisi pesawat angkut berat buatan Uni Sovyet, kali ini menggunakan jalur produksi langsung dari Uni Sovyet berupa pesawat An-12 Cub sebanyak 6 unit, pembelian ini dilakukan pada tahun 1962. Skuadron 2 yang bertempat di pangkalan udara Halim Perdanakusuma Jakarta mempunyai fungsi angkut udara maupun survey flight, pesawat yang digunakan merupakan tipe medium yaitu C-47, Il-14/Avia-14, dan L-12A. Skuadron 5 yang bertempat di pangkalan udara Abdulrachman Saleh Malang menjalankan fungsi angkut dan intai maritim, pesawat yang dioperasikan adalah UF-1, PBY-5, dan G-21A/UF-12. 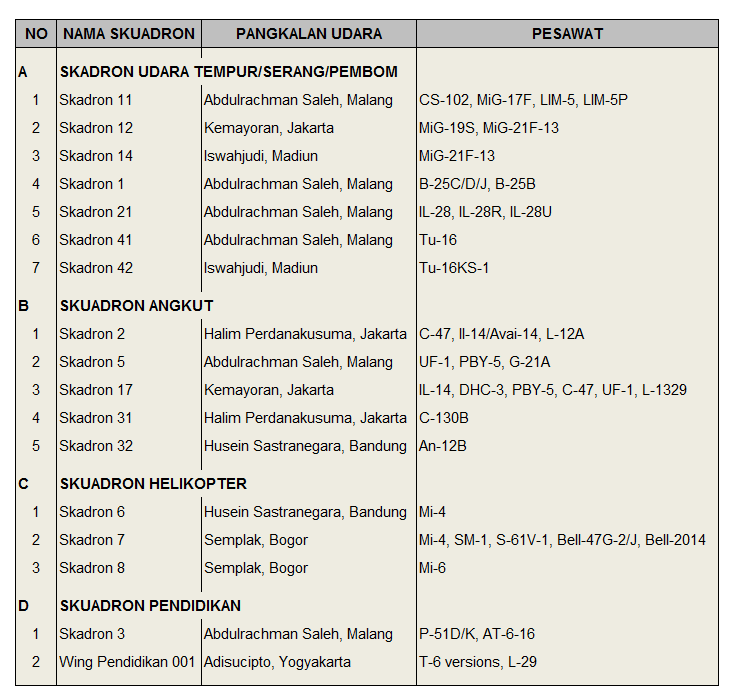 Skuadron 17 yang bertempat di pangkalan udara Kemayoran Jakarta menjalankan fungsi angkut VIP/VVIP, pesawat yang dioperasikan terdiri dari beberapa tipe yaitu IL-14, DHC-3, PBY-5, C-47, UF-1, dan L-1329. 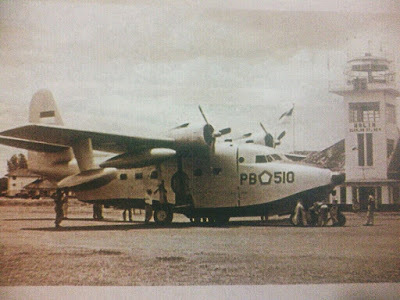 Skuadron 31 yang bertempat di pangkalan udara Halim Perdanakusuma Jakarta menjalankan fungsi angkut berat, pesawat yang dioperasikan adalah C-130B Hercules. 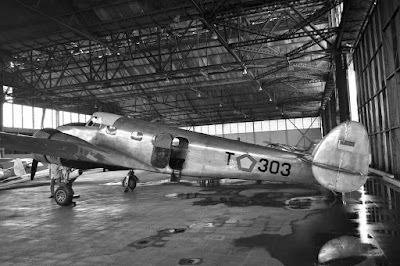 Skuadron 32 yang bertempat di pangkalan udara Husein Sastranegara Bandung menjalankan fungsi angkut berat, pesawat yang dioperasikan adalah An-12B Cub. Seiring dengan pengakuan kedaulatan Belanda kepada Indonesia, pada tahun 1950 KNIL (Tentara Kerajaan Hindia Belanda) menyerahkan 26 P-51D Mustang dan 16 AT-6/T-16 Texan/Harvard kepada Indonesia sebagai bagian dari penyerahan 253 pesawat berbagai jenis. 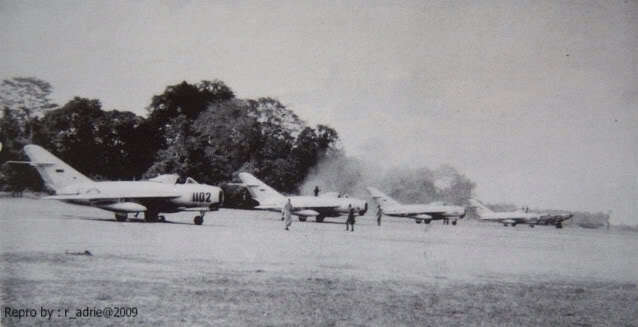 Indonesia pada tahun 1964 memesan 18 pesawat latih lanjut jet L-29 Delfin buatan Cekoslowakia. 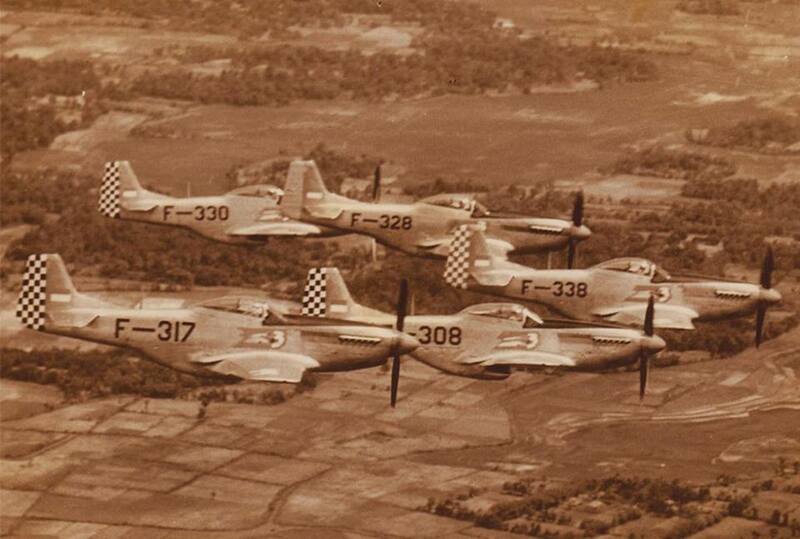 Skuadron 3 yang bertempat di pangkalan udara Abdulrachman Saleh Malang mengoperasikan dua jenis pesawat yaitu P-51D/K Mustang, dan AT-6/AT-16 Harvard. Kedua pesawat ini menjalankan fungsi pendidikan untuk latih mula dan latih lanjut. 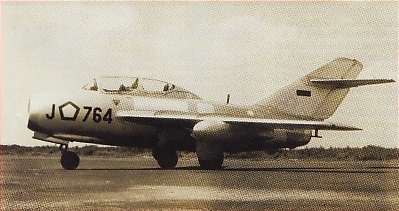 Wing Pendidikan 001 yang bertempat di pangkalan udara Adisucipto, Yogyakarta mengoperasikan 2 tipe pesawat yaitu pesawat latih dasar T-6 versions, dan pesawat latih lanjut jet L-29 Delfin. Kekuatan udara TNI AU pada tahun 1960-an merupakan kekuatan udara terbesar yang pernah dimiliki, kekuatan tersebut diperoleh dari pengakuan kedaulatan Belanda kepada Indonesia yang diikuti dengan penyerahan ratusan pesawat berbagai tipe, kebutuhan untuk operasi Trikora (pembebasan Irian Barat) dan Dwikora (konfrontasi dengan Malaysia). Kekuatan besar ini seolah cepat sekali berlalu ketika haluan politik berganti di tahun 1966 setelah terjadinya pemberontakan G-30S/PKI. MANILA --- The Philippine Air Force (PAF) is looking for suppliers capable of delivering PHP8 million worth of rocket motors needed for the use of its SIAI-Marchetti S-211 trainer jets. Bid opening is on May 5, 9 a.m. at the PAF Procurement Center Conference Room, Villamor Air Base, Pasay City, Air Force bids and awards committee chair Brig. 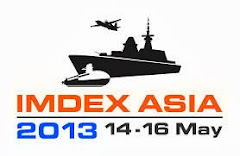 Gen. Nicolas Parilla said in a bid bulletin posted at the Philippine Government Electronic Procurement System website. 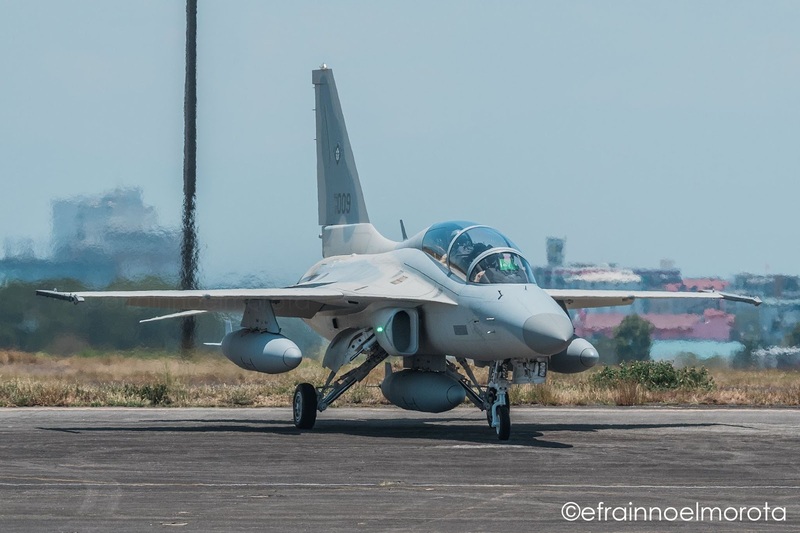 The S-211 is the PAF's sole jet-powered aircraft following the retirement of the Northrop F-5 "Tiger" jet fighter fleet in 2005 and arrival of the Korea Aerospace Industries FA-50 "Fighting Eagle" jet fighter in 2015. Three S-211s remain in the PAF inventory and are used closely for training, recon, and sometimes ground-attack missions.